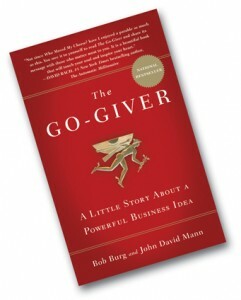 Gary is a certified Go-Giver Coach trained and certified by Bob Burg and his team. He has studied with Bob Burg since 2006. Through the knowledge obtained in this training, Gary is able to show you how to create referral systems in any business. Bob Burg shares information on topics vital to the success of today’s businessperson. He speaks at corporations and associations internationally, including fortune 500 companies, franchises, and numerous direct sales organizations. He is a national bestselling author, and has helped millions in building a ‘Relationship Leveraging Machine’. All books and CDs are brand new, never opened. Put this system to work in your business and NEVER run out of quality sales prospects again – regardless of the economic conditions. This fun, principle-based and easy-to-apply system has been proven to quickly and dramatically increase sales in any type of business. With free shipping within the United States. When asking for referrals, never again hear the words, “Well, I can’t think of anyone right now, but when I do, I’ll call you.” The secrets contained in this program will help you walk away from your presentations with lots of A-list and B-list referred prospects practically every single time. Discover the 3 key ingredients needed for consistent and predictable success in any endeavor. If you’re missing even one of them, you may be jeopardizing your results! The Go-Giver tells the story of an ambitious young man named Joe who yearns for success. Joe is a true go-getter, though sometimes he feels as if the harder and faster he works, the further away his goals seem to be. Joe learns that changing his focus from getting to giving—putting others’ interests first and continually adding value to their lives—ultimately leads to unexpected returns. 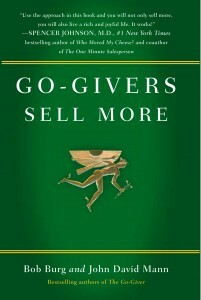 Go-Givers Sell More, a practical guide that makes giving the cornerstone of a powerful and effective approach to selling. Drawing on a wide range of examples of real-life salespeople who have prospered by giving more, Burg and Mann offer tips and strategies that anyone in sales can start applying right away.